With the onset of the festive season, we are all set to throw get-togethers and family dinners to welcome friends and family for grand celebrations. And with festivities comes love, warmth, memories, and lots of gifts. We put in so much effort, time, and heart in picking up that perfect gift for every family member and friend because we want it to be memorable and the one that suits their personality too. So, have you thought of what gifts would you pamper your guests this time with? No? Still thinking? Let us assist you. You would have showered friends and family with sweets or decoratives on most occasions and festivals. But did you ever think of gifting flatware or a cutlery set? Yeah, you heard it; cutlery in stainless steel clubbed with designer flatware would make for a unique and thoughtful gift whether for family and friends or even for peers. Exclusively designed cutlery will add luxury to the dining experience making people marvel at your gifting choice. Born with a silver spoon or no, you can always give a silver culinary gift set to your loved ones. Pick from the stunning collection of fine dining at FnS at pocket-friendly prices. The expert designers at FnS understand that dining is a time when a family comes together and hence want to make your every meal every day worth it with their specially designed cutlery and flatware. Their experts promise you one of a kind experience every time you use their stainless steel for yourself or for gifting. Choosing from the amazing range of intricately crafted cutlery you are sure to make the occasion dazzle with its finish and shine. From copper to silver to even 24-carat gold plated, be surprised with the collection at FnS. Dazzling hammered finish cutlery ensures to add a touch of finesse to any metal it is clubbed with and hence makes for a perfect gift. 24-carat gold plated flatware gives a royal touch to the overall dining experience while copper-colored stainless steel in matt finish adds just the desired touch of luxury to your gift. FnS offers products which are not just the best but a level up in the industry with unique designs and corrosion resistance quality making them the perfect cutlery material. Premium flatware fine dining sets are making a style statement and you must not give them a miss this festive season. Lift up the spirit of your loved ones and wish them happiness with stylish yet durable culinary gifts and see their smile reach their ears and their hearts warm. Show your love and affection through top-notch fine dining flatware. Enhance the dining experience with luxury cutlery and make those family dinners memorable in every way. Your friends and family will always remember you whenever they use the cutlery gifted by you. In other words, they will remember you forever, as spoons and flatware are forever. 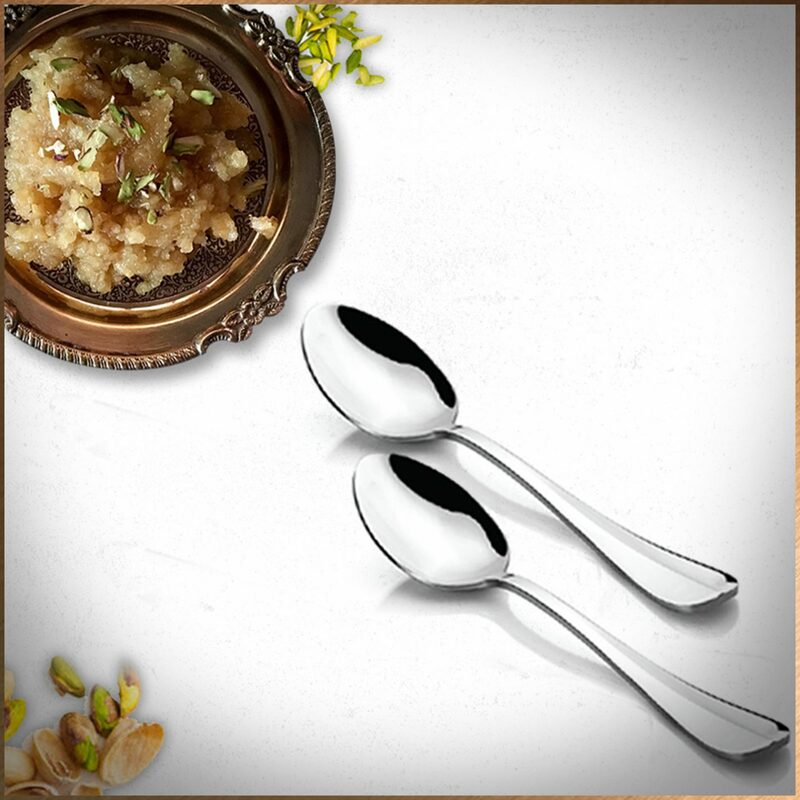 So, this festive season give that traditional kaju katli a rest and dig in our amazing flatware and cutlery range and make the culinary experience out of the world for your loved ones.